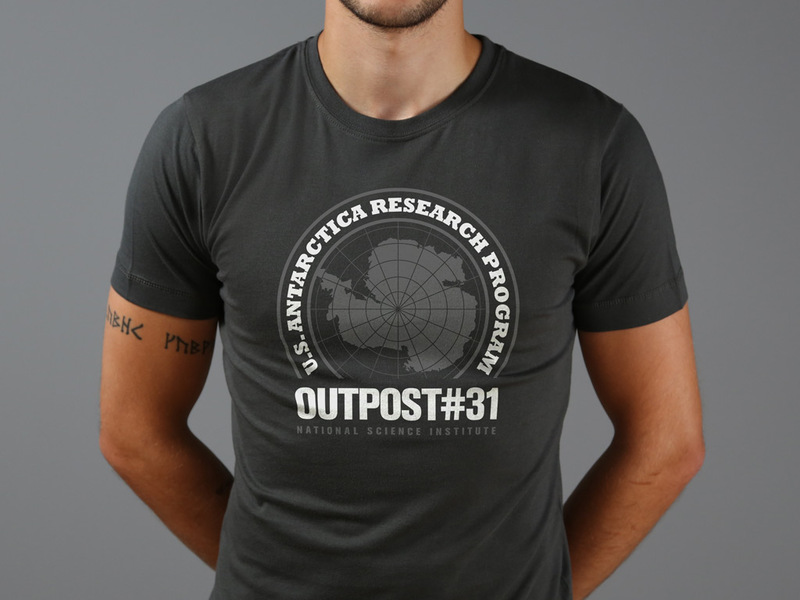 A two colour design, hand screen printed on a fitted 100% cotton olive grey T-shirt. 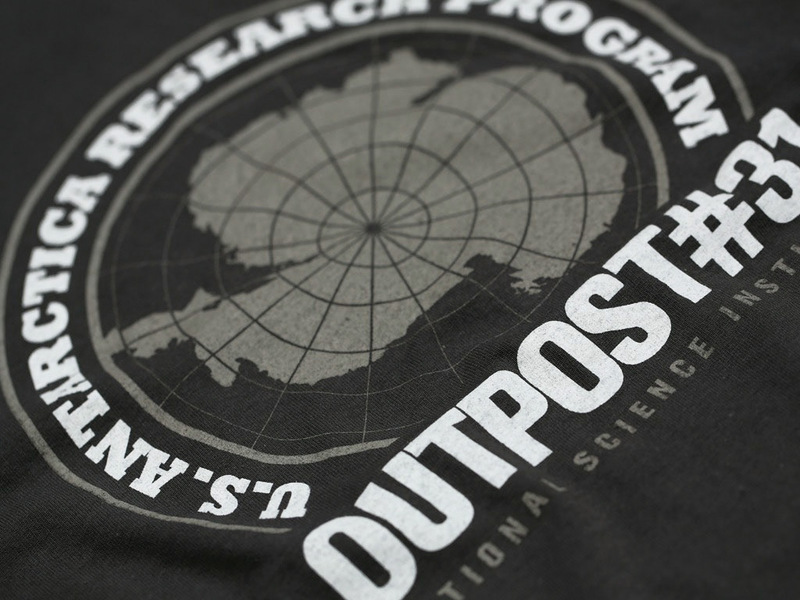 Inspired by the fictional location featured in the 1982 film, The Thing, directed by John Carpenter. The film stars Kurt Russell, A. Wilford Brimley, T. K. Carter, David Clennon, Keith David and Richard Dysart.